You run an AC or DC UPS system and would like to know whether the device can take its full load or assess whether the battery capacity conforms to your needs? 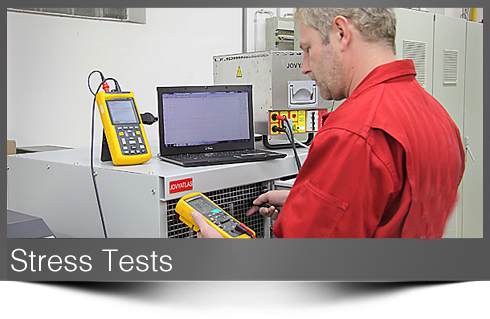 Or do you simply need a periodical load test to be carried out on your generator? This is no problem for our specialists. We have permanent mobile load banks and perform stress tests on-site. Please ask our service staff for an individual offer.